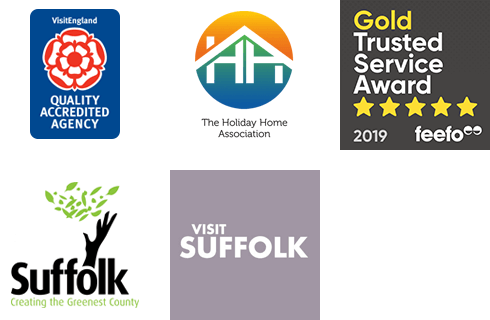 Whether it's a birthday party, anniversary or just an excuse to get together, Suffolk Secrets offer beautiful holiday cottages that are the perfect way to get the whole gang all under one roof. Suffolk Secrets have properties that cater for all, many being child-friendly with bedrooms designed specifically for little people with bunk beds and playrooms. Many of our holiday cottages have large social areas, with dining rooms ensuring everyone has a place to sit and open plan living areas that provide guests with bundles of space. These large living areas are perfect for celebrations, and with fully equipped kitchens, should you and your group decide to celebrate in your holiday cottage, there's plenty of amenities to ensure you can do so. Alongside your property, Suffolk offers many activities and days out. Why not book a spa day, where you can celebrate in style and relax to your heart's content, or head to one of Suffolk's many national parks, where many walking routes, beginner and intermediate, are a great way to get everyone outside and enjoying the Suffolk coast, countryside and wildlife. SPECIAL OFFER: 10% discount offered on all remaining dates in April & May at this great location!